4th of July is a time to celebrate your patriotism in high style with the many activities including shopping in Branson. The day before, you can head over to Branson Landing for the Annual Liberty Light Up. The celebration features live music by Chain Reaction along with a choreographed fireworks display. During this time, it’s great to shop in Branson Landing and look for some unique items at Belk Department Store and other retail shops or look sports gears at Bas Pro Shop for your water sports adventure that you want to enjoy this summer at one of the three pristine lakes in Branson. When you want to spend a wonderful shopping spree in Branson during Independence Day, head on to Tanger Outlet Mall for its 4th of July Weekend Sale as this mall offers shoppers a good opportunity to enjoy great shopping in Branson. During this 4th of July Weekend Sale at Tanger Outlets, you will enjoy extra savings of your favorite name brand outlet stores. The mall will feature also Annual Sidewalk Sale on July 4 to 7. This mall-wide sidewalk sale event will also feature great brands like American Eagle Outfitters, Gap Factory Store, Disney, Loft Outlet and Nike Factory Store where you can save on the latest summer fashions and other great items for the whole family. Many of the retail shops at Tanger Outlet Mall sell a variety of name brands and designer fashions including books, toys, jewelries, housewares, gift items and many other special items. Most of the items that you can find here include brand names like Eddie Bauer, Disney, Izod, Bombay Outlet, Big Dog Sportswear, Wilson’s Leather, Tommy Hilfiger, Kay Jewelers and more. 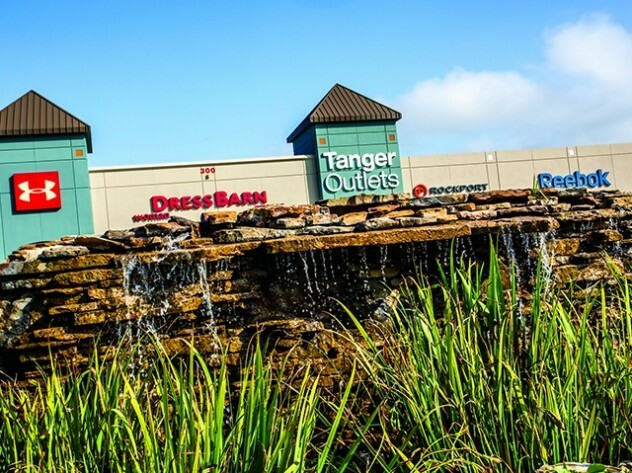 Tanger Outlet Mall is one of the best shopping destinations in Branson as they offer many favorite name brands like Levi, Rue 21, Children’s Place, Gap, Big Dogs, etc that you can get at discounted prices and even more during 4th of July Weekend Sale. To enjoy great savings on your shopping in Branson, make it on the 4th of July Weekend Sale at Tanger Outlet Mall. You can save on merchandise that is on trend and in season, with great value and at reduced price direct from the manufacturer. During this weekend sale event, you will find over 65 of nation’s leading designer and brand name stores. As you celebrate Independence Day in Branson, you will find several fireworks displays through the area as the town does it up big for the 4th galore at sidewalk sales, and many other holiday celebrations in some areas. During this special holiday event in Branson, you can have the opportunity to see spectacular Fireworks Display at Chateau on the Lake as they celebrate Independence Day with an outdoor BBQ event, complete with live entertainment. When you want to enjoy shopping in Branson, be sure to visit Tanger Outlet’s 4th of July Weekend Sale in Branson as you will enjoy extra savings on your favorite name brand outlet stores.